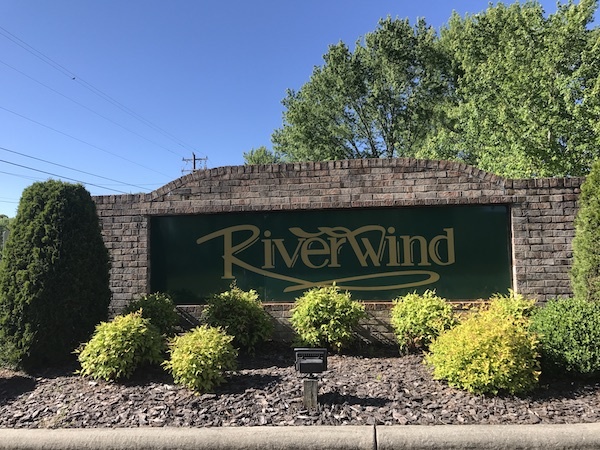 Riverwind is a 55-and-up adult community located near the heart of the Blue Ridge Mountains. The 74-acre community features approximately 190 homes and includes a clubhouse, swimming pool and hot tub, community game room, horseshoe pits, a recreation area, and an RV parking area. The community is in a beautiful country setting but provides easy access to the heart of Hendersonville, with plenty of parks, shops and restaurants. It is also conveniently located near US-64 that will take you to Brevard, which features a small town vibe and quaint boutiques and restaurants. Riverwind is zoned for Etowah Elementary School, Rugby Middle School and West Henderson High School.